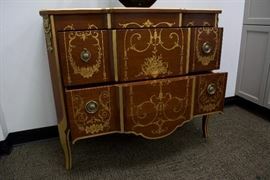 Antique Furniture Estate Sale - Proceeds go to non-profit! AddressThe address for this sale in Rochester, NY 14604 will no longer be shown since it has already ended. Cash and Credit Cards Accepted. All Sales are Final. Please bring help to load your vehicles. Not responsible for accidents. Please obey downtown parking signs. 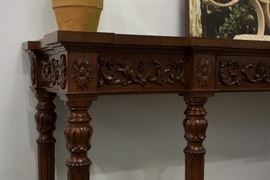 An English continental sideboard. 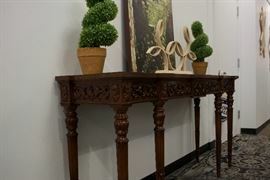 By Kindel Furniture (Appraised: $3,000). For Sale: $700. 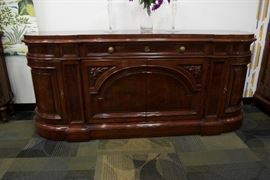 A Regency/Louis XVI Style Buffet, mahogany solids. 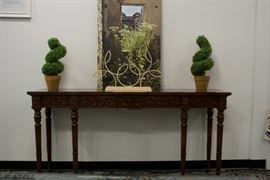 By Karges Furniture co. (Appraised $6,500). For Sale: $1,600. 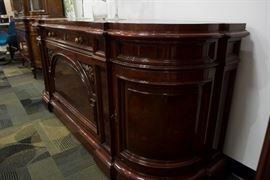 A Regency/Louis XVI Style breakfront, mahogany solids. 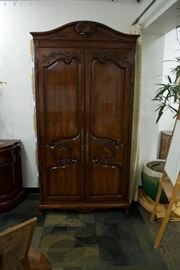 By Karges Furniture Co. (appraised: $13,500) For Sale: $3,400. 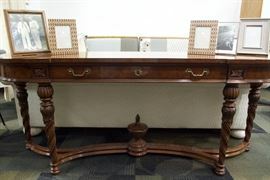 Writers desk. For Sale: $700. 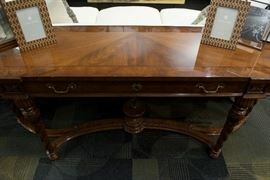 A George II English side table with emperador marble top. 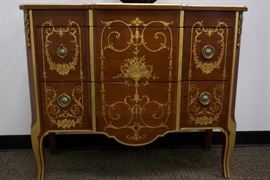 By William Switzer Furniture. 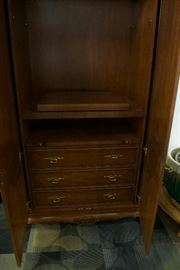 (Appraised at $2,250). For Sale: $600. Chelsea House hand painted porcelain dish set (6). Chelsea House hand painted porcelain dish set (2). 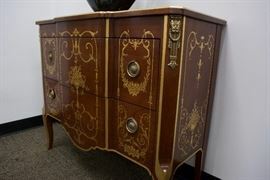 Chelsea House hand painted porcelain Hampshire console, urn.